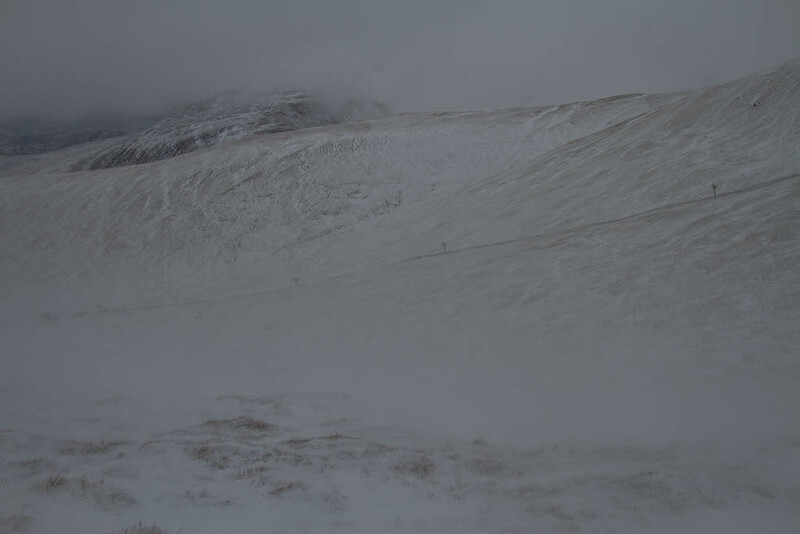 SAIS Southern Cairngorms Blog » Poor visibility. There wasn’t an awful lot to see today! Certainly felt like a proper Winters day with the cloud base around 700 metres and cold strong Southerly winds. Some further drifting and snowfall tonight but predominately dry tomorrow. Drifting into Corrie Fionn. New redistributed accumulations forming around sheltered corrie rims and in gully tops. Elsewhere, cover is thin. Short video of conditions at 900m when the cloud cleared.